Dr. Taiber’s presentation was titled “Concept Development and Implementation of Open and Closed Testbeds to Validate Technologies for Connected, Automated and Zero-Emission-Enabled Driving.” Using examples currently underway today at ITIC testbed sites, Dr. Taiber was able to talk about the latest advances in technologies in the transportation eco-system and how ITIC’s approach is to validate them under real-world conditions, and in particular considering the need to develop joint standards and test/certification procedures within the automotive community. 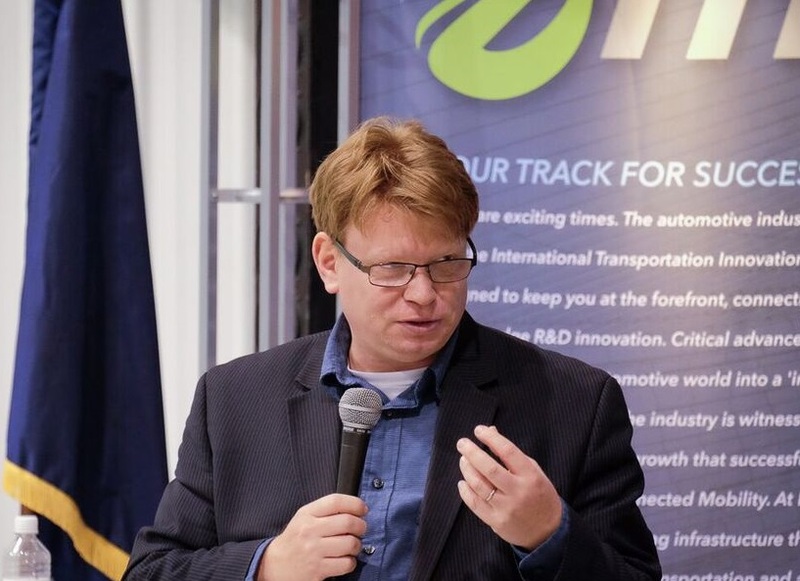 Headquartered at the South Carolina Technology & Aviation Center (SCTAC) in the heart of North America’s Southeastern automotive cluster, ITIC is an independent organization that plans, builds and operates closed and open testbeds supporting sustainable transportation and networked vehicle systems. One of ITIC’s largest projects under development is a 559-acre testing facility in Greenville, South Carolina, designed to deliver an unparalleled automotive testing and research environment with a specific focus on vehicle automation and vehicle electrification.